Courtesy of Santa Maria Times, to see the original article click here. To help raise awareness for Child Abuse Prevention Month and to address the need for more advocates for children across the county, Aaron Pankratz began a four-day bike ride from Santa Barbara to Sacramento on Friday morning. 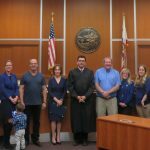 Pankratz, associate director at Court Appointed Special Advocates of Santa Barbara County, started his 588-mile journey to the state Capitol from the Santa Barbara Superior Courthouse at 9 a.m. 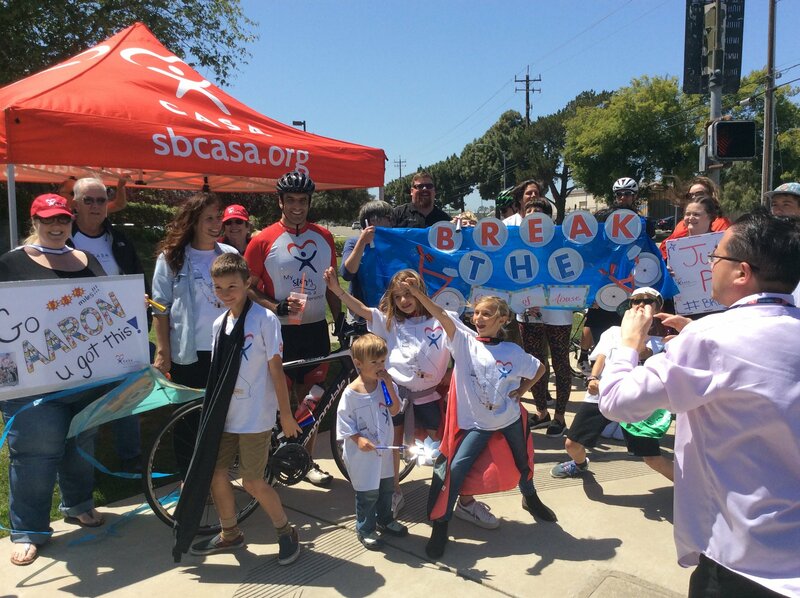 He reached Buellton at noon and just before 2 p.m. reached the CASA headquarters in Santa Maria, much to the delight of a huge team of fellow CASA colleagues, friends and family members. Pankratz only had a few minutes in Santa Maria to re-energize and have a smoothie before taking off to make it to the CASA headquarters in San Luis Obispo by 4 p.m. and, then, to Jamba Juice in Paso Robles by 6 p.m. The goal en route to Sacramento is to stop at CASA offices throughout the state. For the next few days, Pankratz hopes his journey will draw attention to volunteers coming to the need of so many children in order to remind them that they don’t have to face their challenges on their own. He also hopes his ride will inspire others in the area to become volunteers. Pankratz didn’t ride alone the majority of Friday; he had his brother Dave Pankratz bike alongside him to Paso Robles. After Friday, Pankratz will trek alone to Sacramento, which he hopes to reach by 4 p.m. Monday. CASA of Santa Barbara County’s executive director, Kim Colby Davis, echoes Pankratz’s sentiments of hoping to bring more awareness to the needs of abused or neglected children, not just in Santa Maria but all over the state. The bike ride also offers an opportunity for fundraising with a goal of $25,000, which would help sponsor 10 additional children in Santa Maria for a year. The money would cover costs for recruiting, training and volunteering to serve the children. “The real important thing about this entire bike ride is to remind the community that we can all come together and make sure that all children who experienced abuse or neglect have the advantage of having a CASA volunteer by their side,” Davis said. 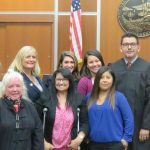 For more information on CASA, and to follow Pankratz on his journey to the Capitol, visit Facebook.com/SBCASA or www.sbcasa.org/breakthecycle to donate.